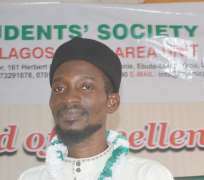 The Muslim Students' Society of Nigeria, Lagos State Area Unit has called on government at all levels, including Nigerians to be wary of brewing religious intolerance in their territories. The Amir of the MSSN in Lagos State, Saheed Ashafa, said this in a press statement to condemn the various attacks unleashed on Muslims in various states. Ashafa recalled that at Adesanmi area of Ile-Ife, Osun State on Saturday August 13, 2016 a muslim lady, Shakirah Akintayo, was allegedly beaten by a Christian preacher from Living Faith Assembly (aka Winners Chapel) for refusing an invitation to attend a church programme and accept christ. He also pointed to the reported detention by Nigeria Police Force of a 16-year-old girl, Ifesinachi AMATULLAHI Anih, over her acceptance of Islam in Enugu and later transferred to Abuja. Ashafa further lamented that another breach of fundamental human right was committed against a muslim female, Mutiat Alao, when she was threatened to remove her hijab or lose her job by the Provost of Neuro-Psychiatric Hospital, Aro in Abeokuta, Ogun State, Dr A. O Akinhanmi. According to Ashafa, it is more disturbing that the police and government officials are aware of the developments but refused to take proactive steps. The leader of Muslim students in Lagos State explained that the current economic depression in Nigeria was beginning to have psychological effects that could spur anger easily among people if their rights were continually tampered with. Ashafa said, "No doubt, the nation's economy is not in the best shape we all want it to be yet. There is inflation and limited availability of jobs. Many families are struggling to survive with the hope and understanding that the efforts of the Federal Government will yield result soon. "It will be unfair that despite the perseverance and maturity exhibited by Nigerians especially Muslims in this time of hardship, our fundamental human rights cannot be guaranteed. "It makes no sense for government and its agencies to keep silent in the face of the numerous oppression unleashed on Muslims. If the growing cases of religious intolerance is allowed to continue without adequate intervention from appropriate quarters, it may be greeted with an unpredictable and damaging reaction. "Our plea is that government at all levels and Nigerians, especially people from other faith should not tamper with laws and injunctions protecting the right to wear the Hijab (Muslim head scarf) in public institutions, including schools. Doing so will not help our economy and could degenerate into religious crisis, which will worsen the current economic depression and hardship experienced in the country." Commenting specifically on the incident of job loss threat in Ogun State, Ashafa appealed to all concerned stakeholders to wage into the matter urgently and ensure that the provost of the hospital, Dr A. O Akinhanmi, faced disciplinary actions. He added, "It is even strange to the hearing that at this stage in Nigeria, an institution can pretend not to know that wearing hijab is not just a right ordained by Allah but also a legal right. "It is worst to hear that a Muslim female is threatened with job loss for refusing to pull of the Hijab; and our observation is that the increasing cases of harassment and intimidation is already forming wounds in the minds of many in Ogun State. Thus, proper intervention is needed to prevent the anger from escalating into crisis." Ashafa also warned invigilators and supervisors at the ongoing General Certificate of Examination (GCE) conducted by the West Africa Examination Council (WAEC) not to disturb any Muslim student for putting on hijab to the examination hall. "We are not against security checks, provided it is done moderately. However, we frown and will not hesitate to take drastic action against centres or invigilators that harass, intimidate, delay or prevent from writing examination a muslim female candidate on the ground of wearing hijab."